China issued new rules Friday to regulate the country's fast growing live-streaming video industry. The Cyberspace Administration of China posted a 20-point edict that will go into effect next month. It said the regulations were aimed at "promoting the healthy and orderly development" of the industry. Under the new regulations, users are prohibited from live streaming any content that could "endanger national security and undermine social stability." Streaming companies will be required to have the technical capability to block live broadcasts. Chinese censors already block television news networks (including CNN) when reporting topics deemed too sensitive by authorities. Companies will be required to keep users' information, data and content for 60 days, and establish a blacklist of users who fall foul of the regulations. They will have to prevent them from creating new accounts and report them to authorities. Both users and live streaming providers are punishable under the regulations. In the last year, live-streaming apps have surged in popularity in China. Users can make a lot of money from live-streaming by receiving virtual gifts from fans and people tuning into the broadcast. The gifts can be cashed out after platforms get their cut. Clothing store owner Liu Xini, who gives makeup tips and relationship advice during her live broadcasts, told CNN earlier this year she has made more than $1.5 million in the past few years. 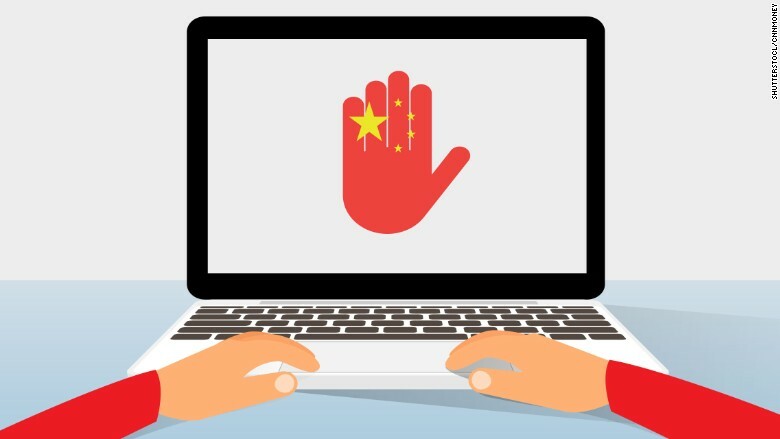 Now that the Chinese government is watching closely, streaming firms will have to balance users' videos with strict restrictions on content. . In April, officials announced new but vague regulations requiring websites to shut down any streams that could "harm social morality." A month later, the authorities got more specific, banning hosts from wearing stockings or eating bananas suggestively during shows.